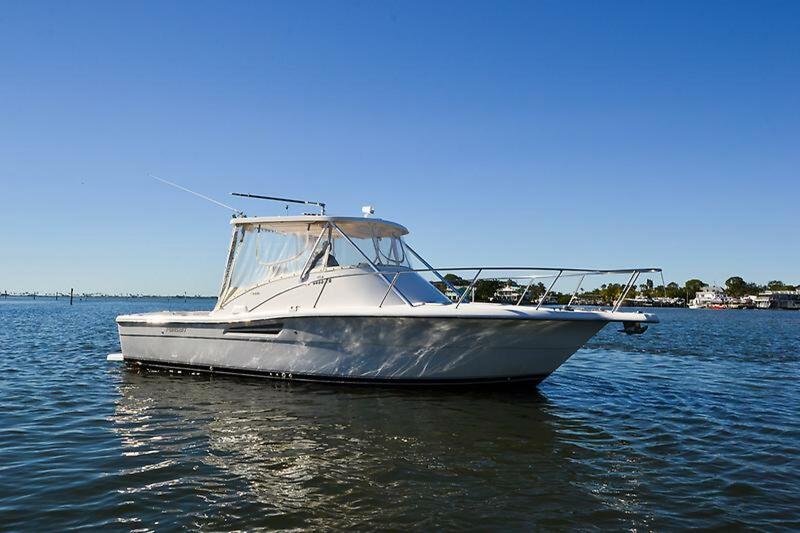 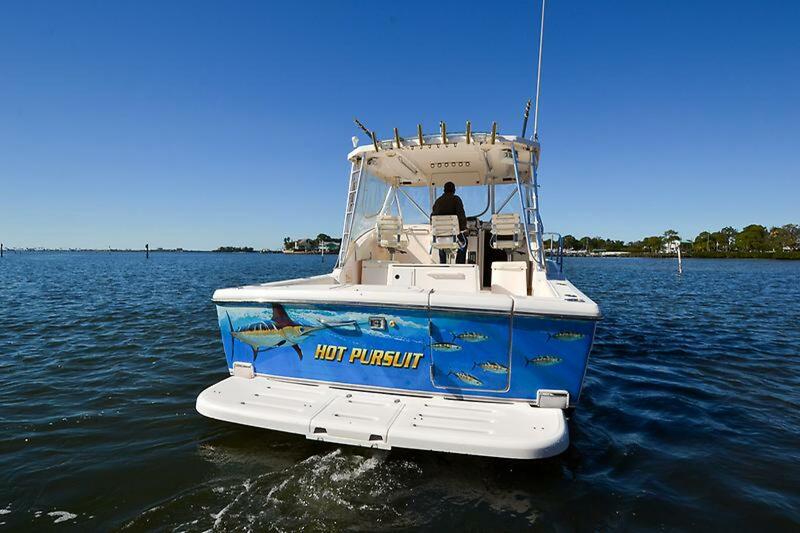 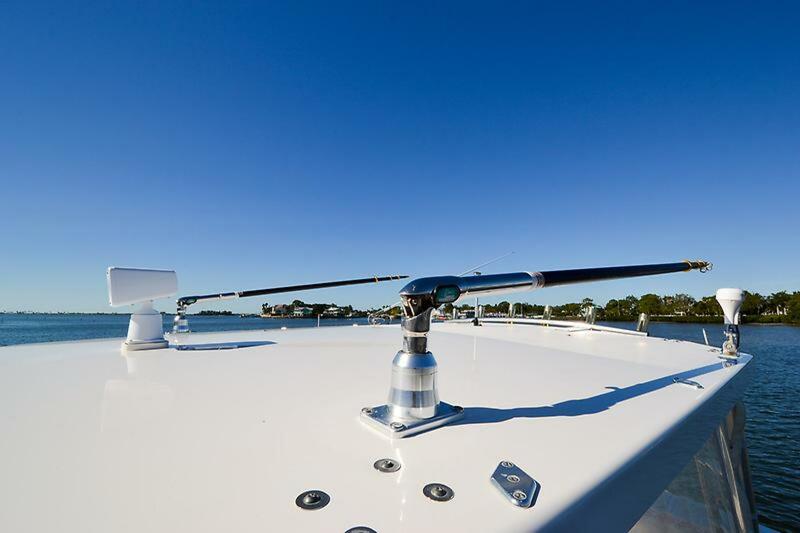 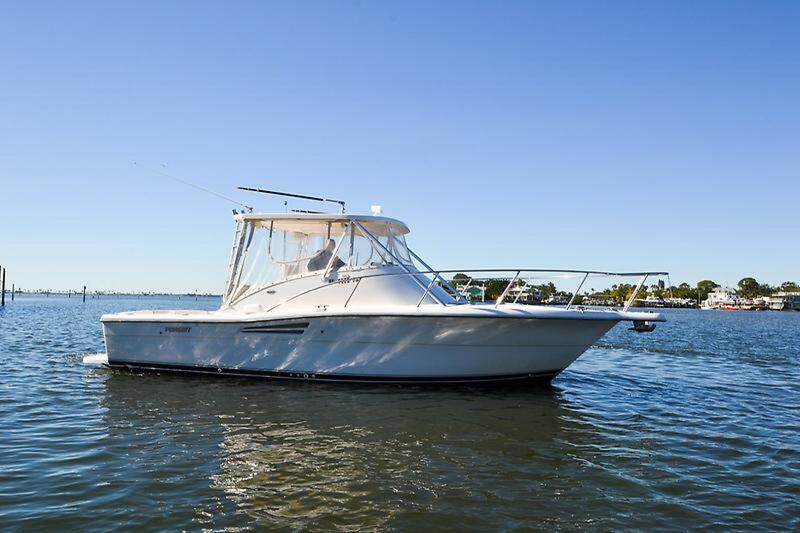 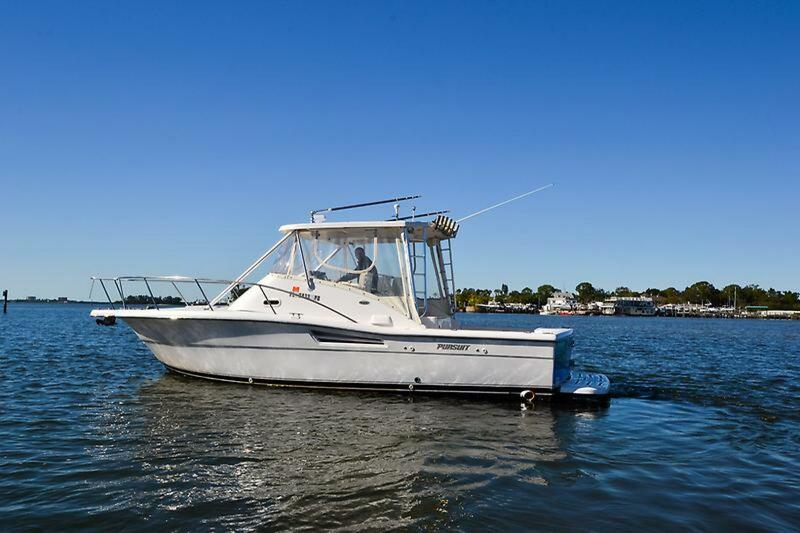 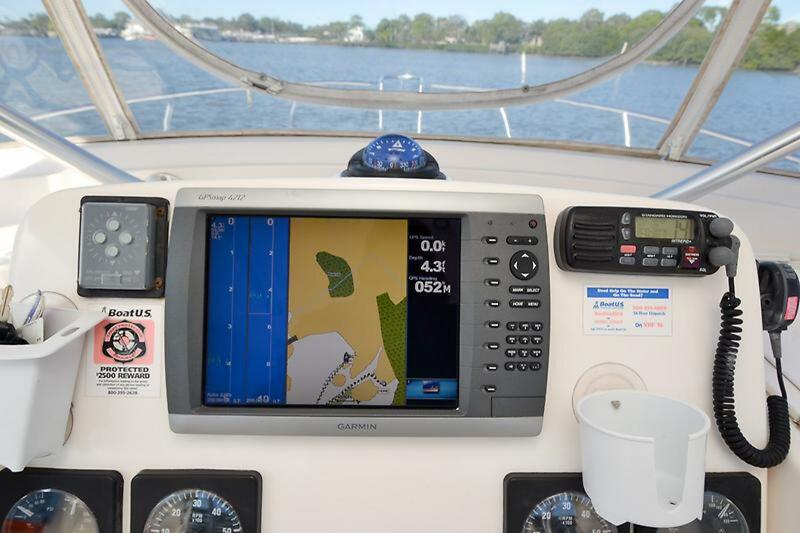 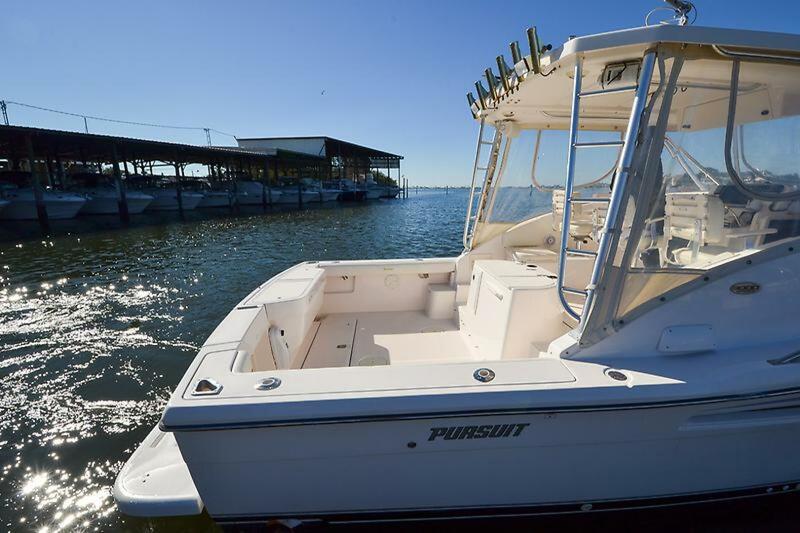 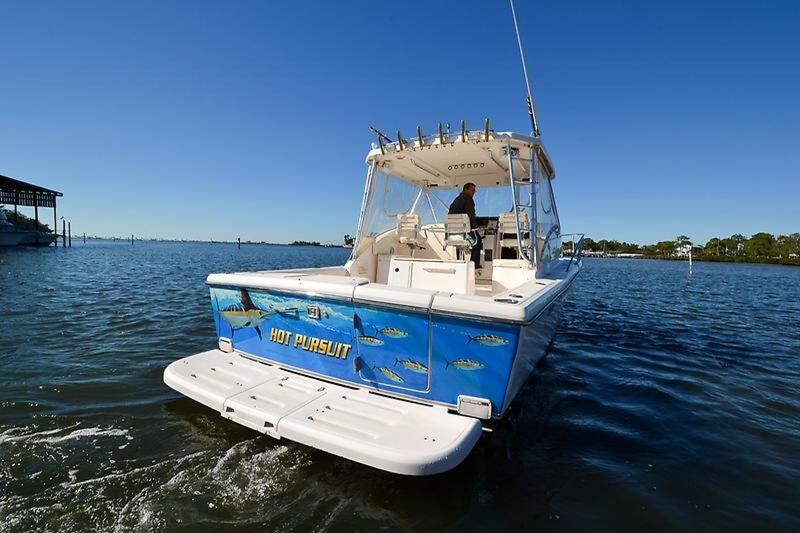 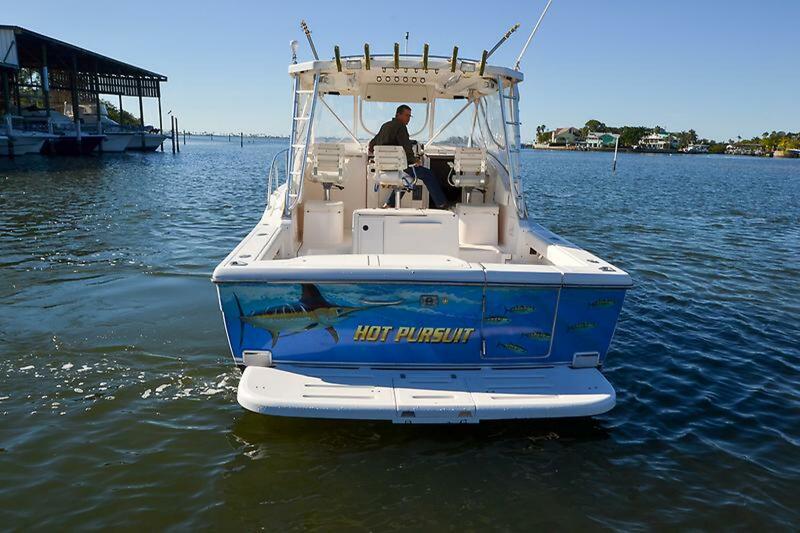 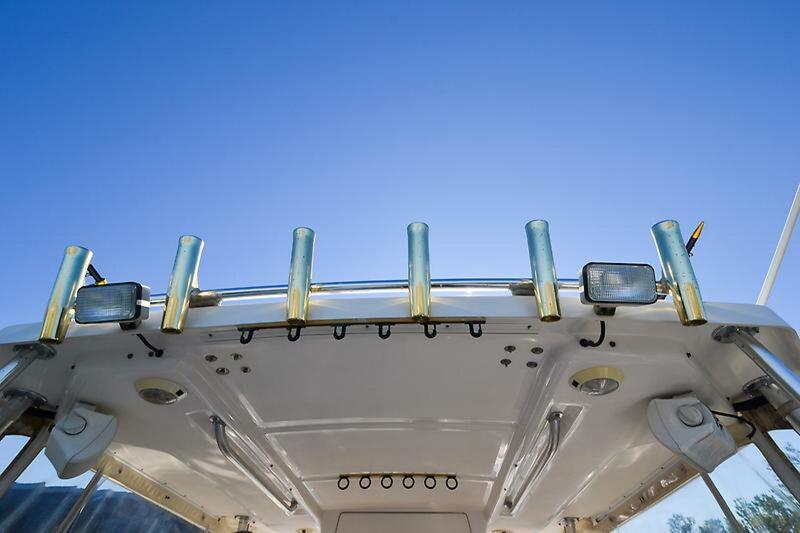 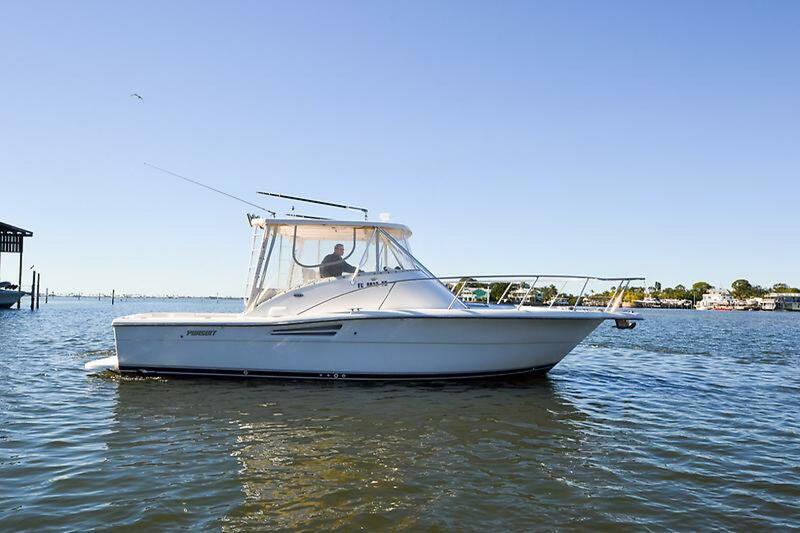 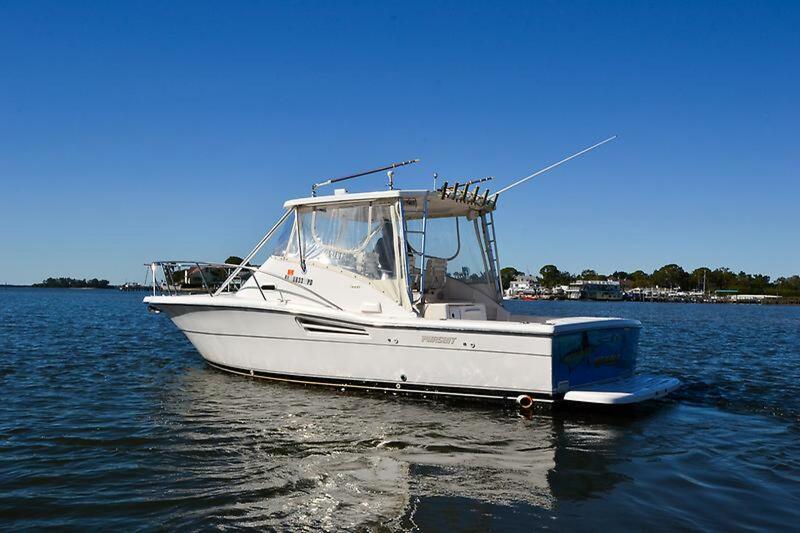 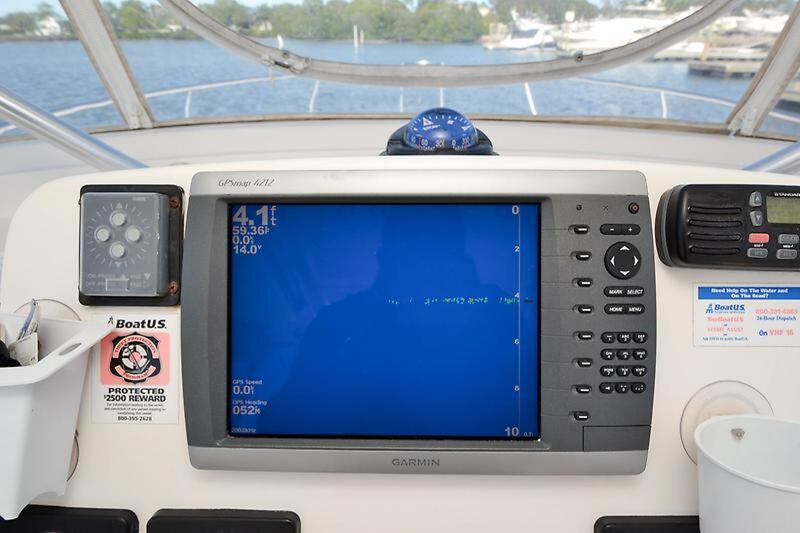 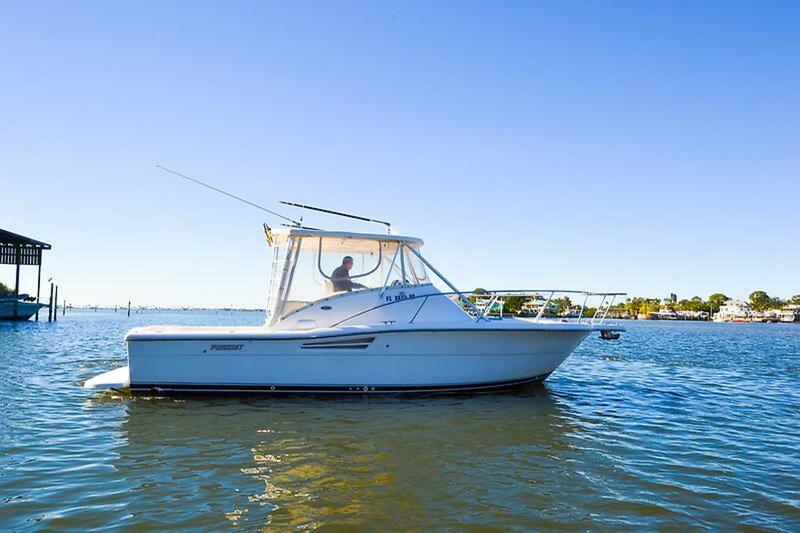 A distinctive boat with a bold Palm Beach profile and center helm position that many anglers love, the Pursuit 3000 Offshore was one of the most popular boats in her class following her introduction in 1995. 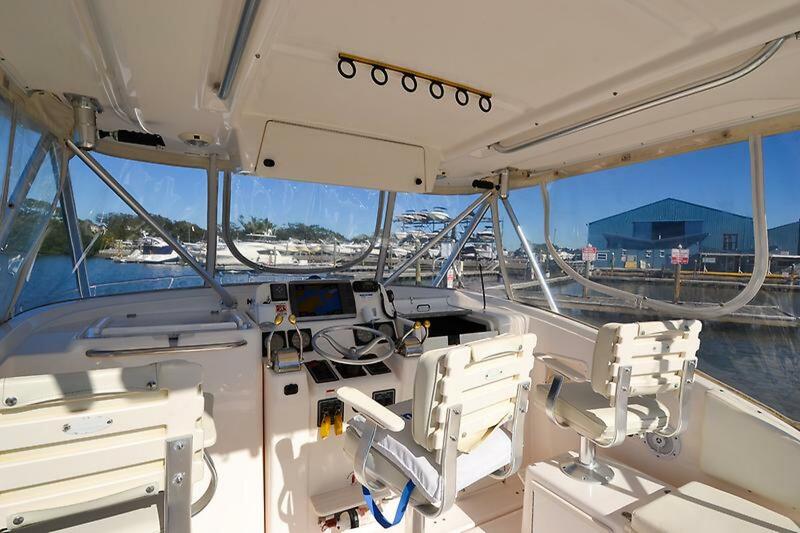 She's built on a modified-V hull with a wide 12' beam, and her 60 sqft cockpit is among the largest to be found in a 30' fishing boat. 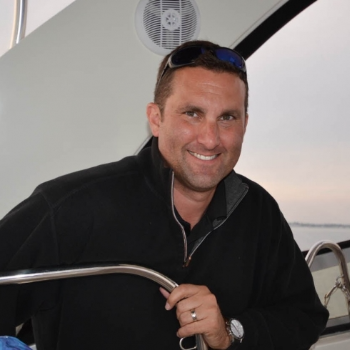 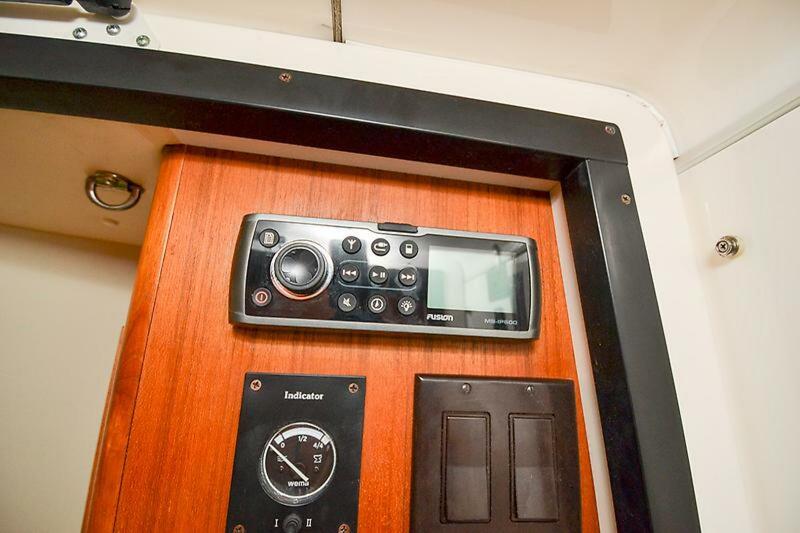 The 3000 Offshore has many creature comforts, she?s way more fishing boat but can double as a family cruiser. 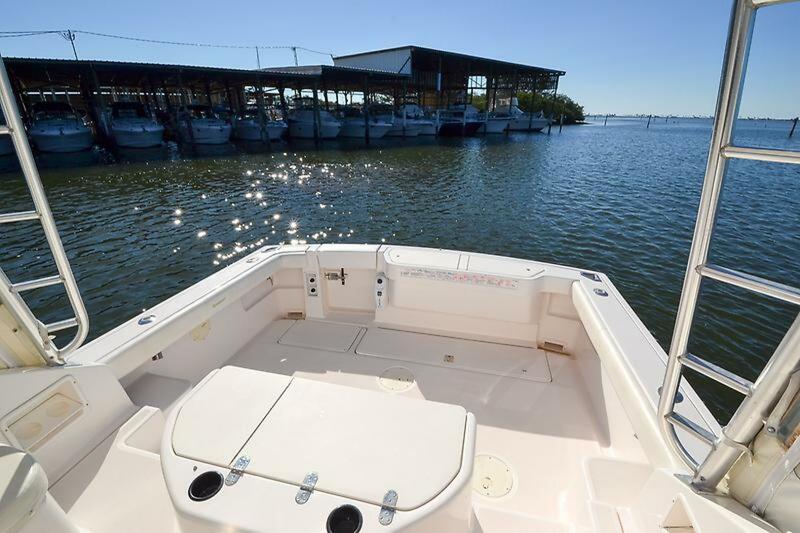 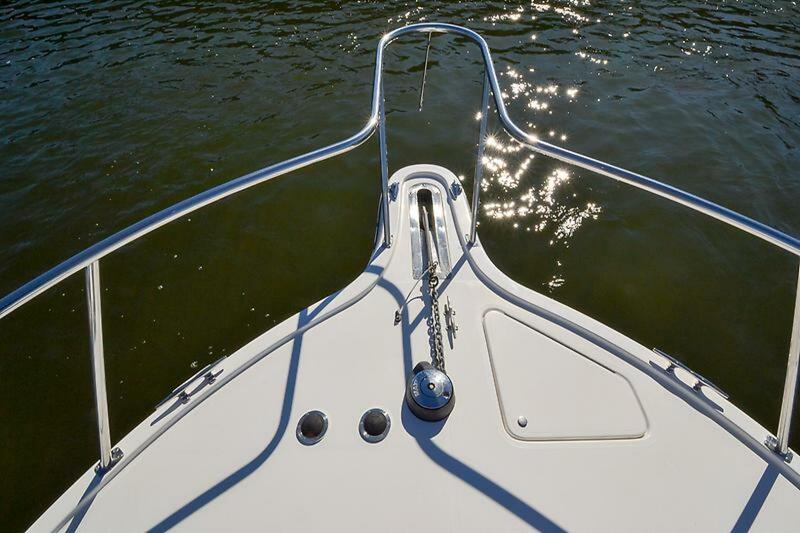 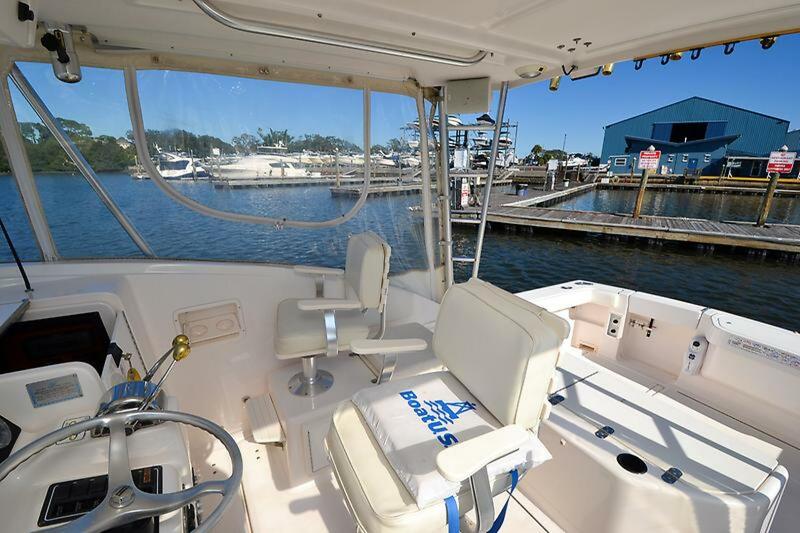 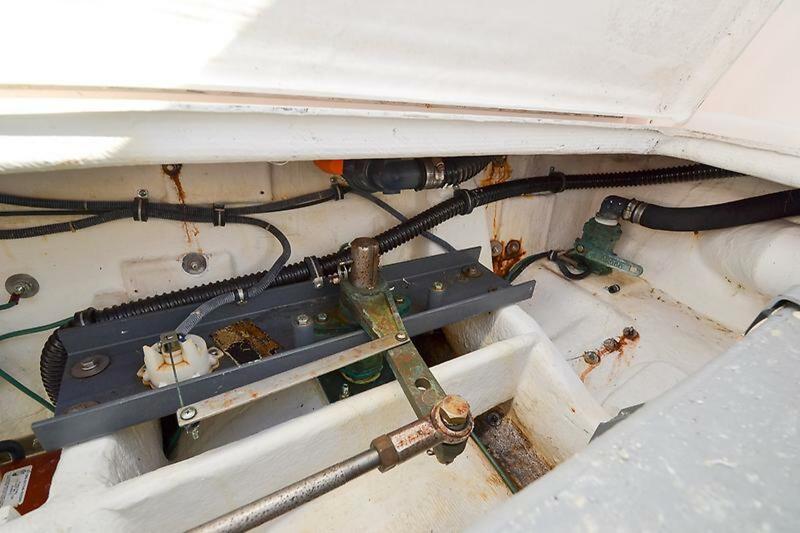 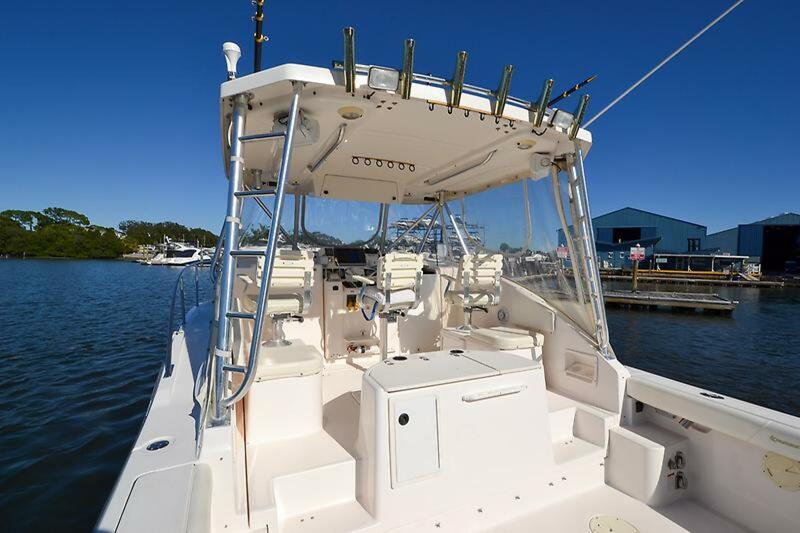 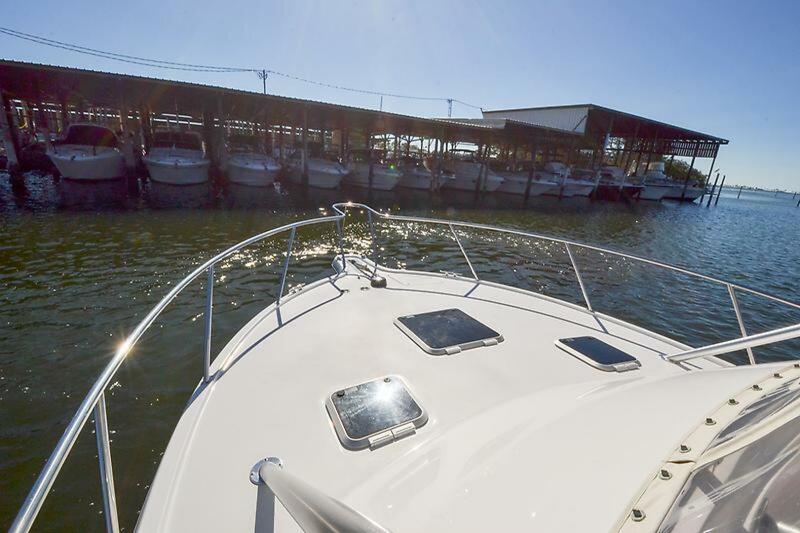 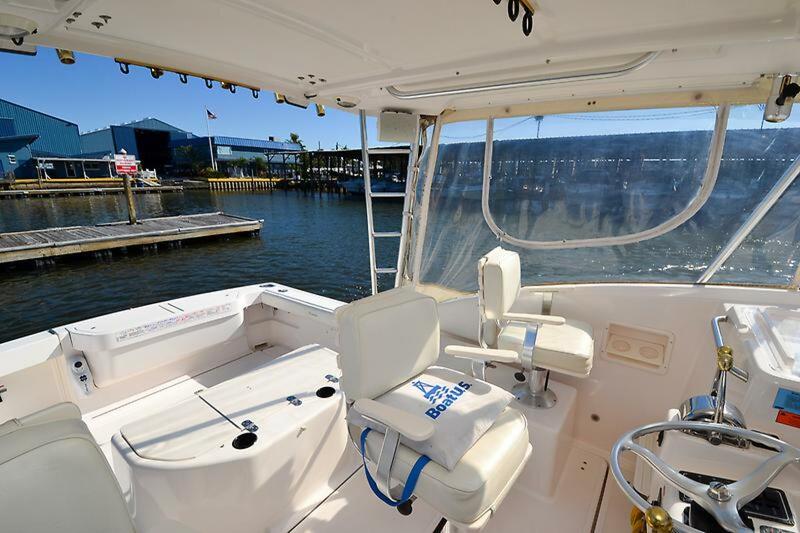 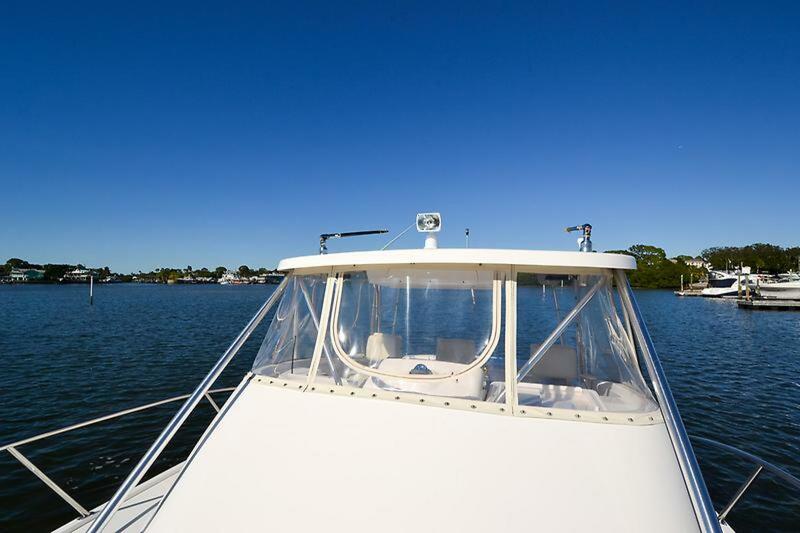 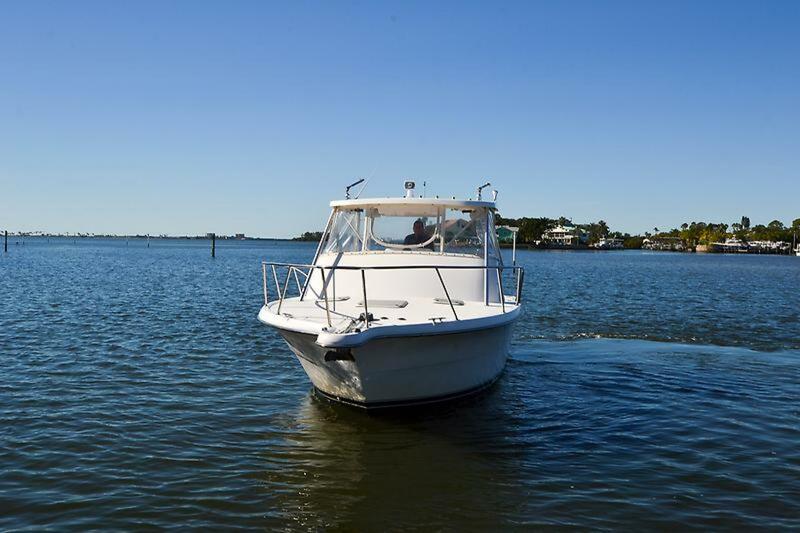 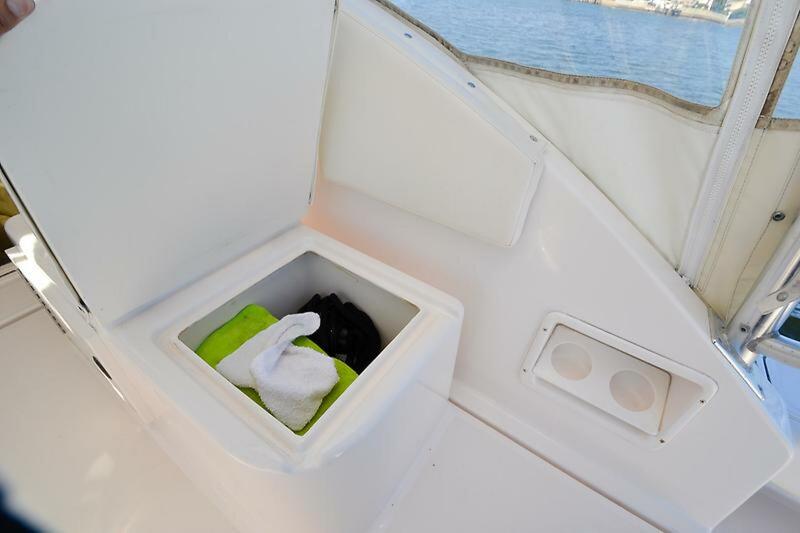 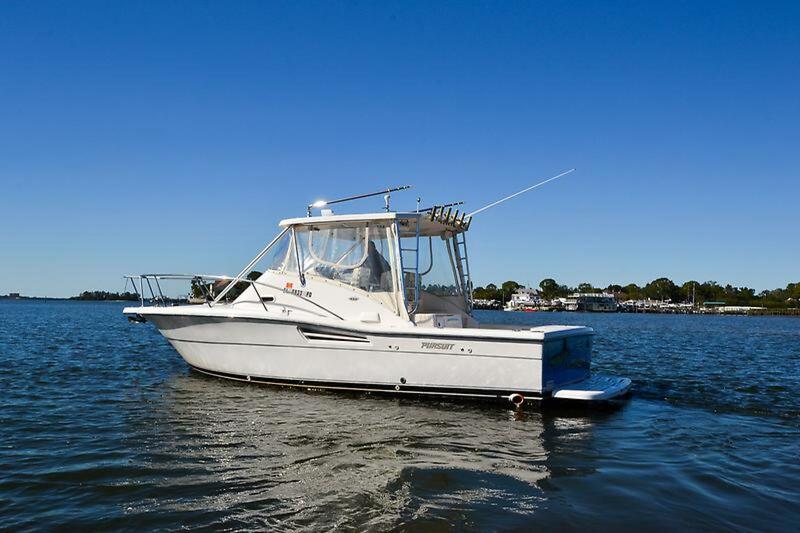 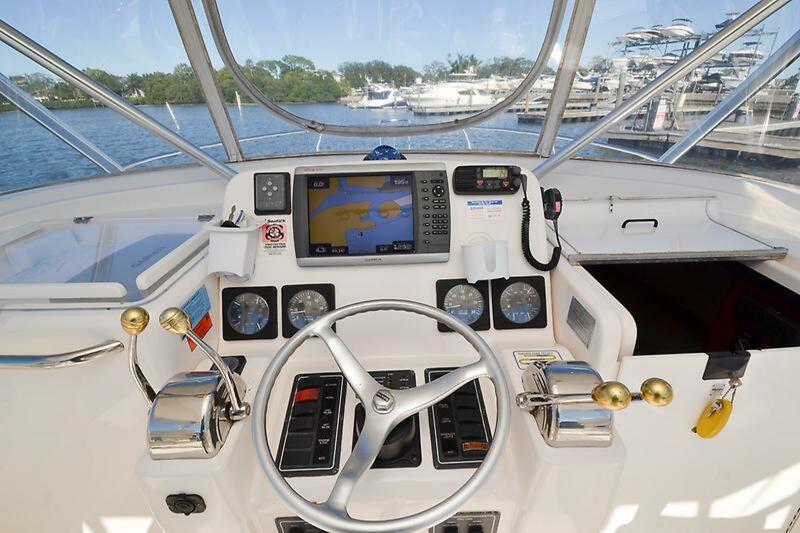 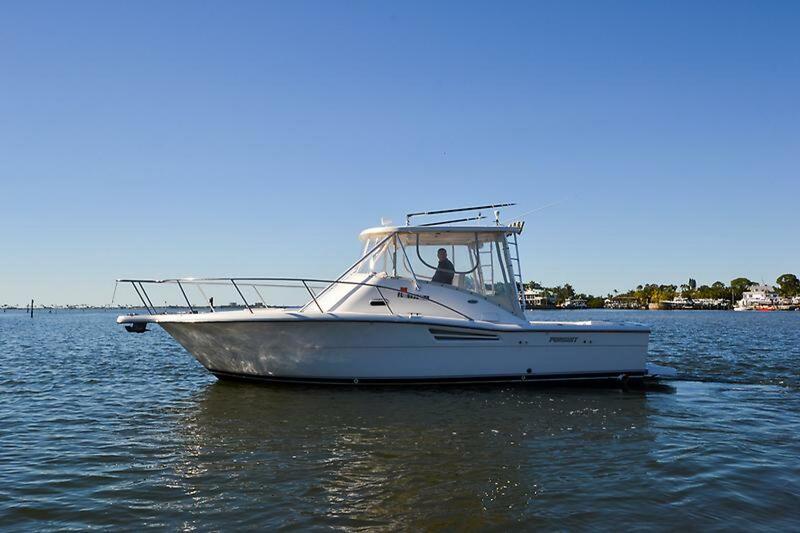 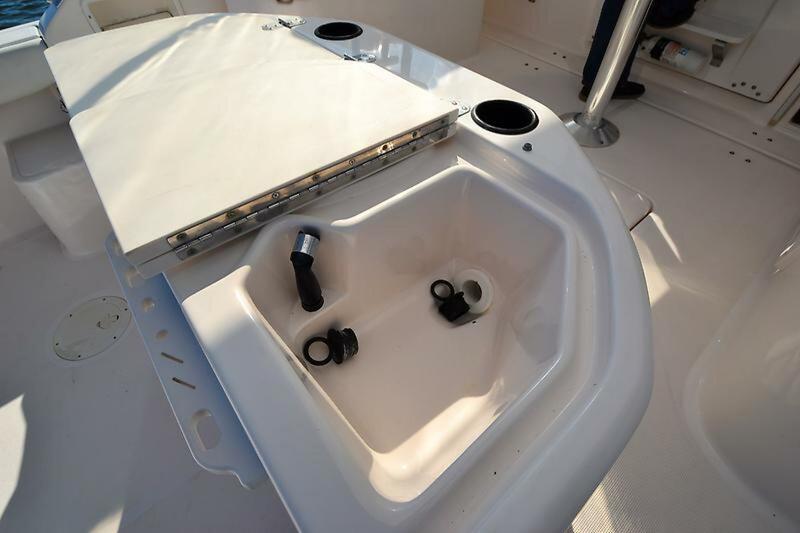 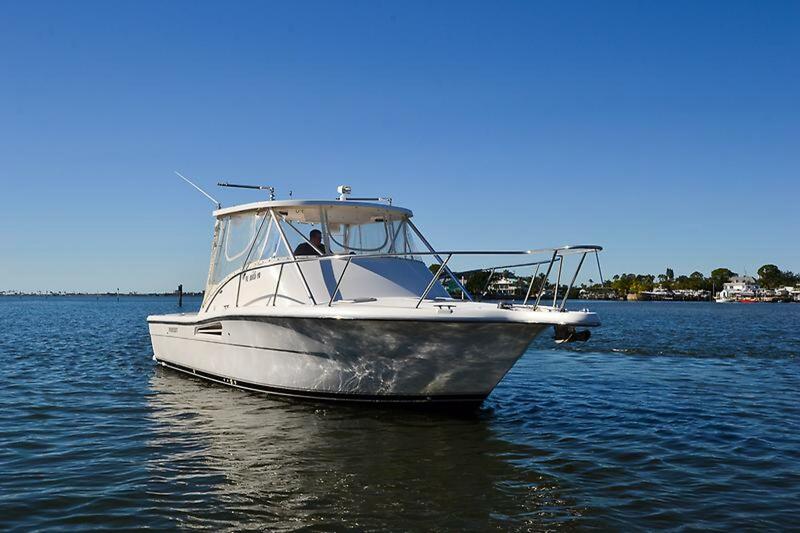 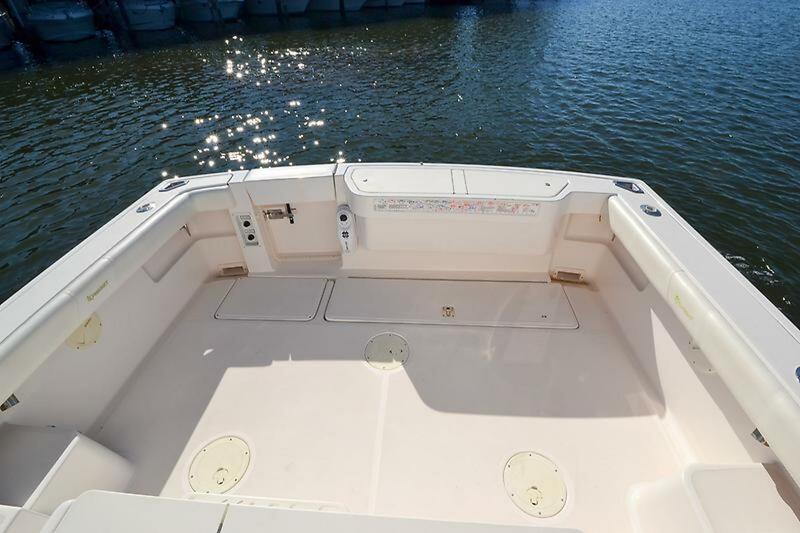 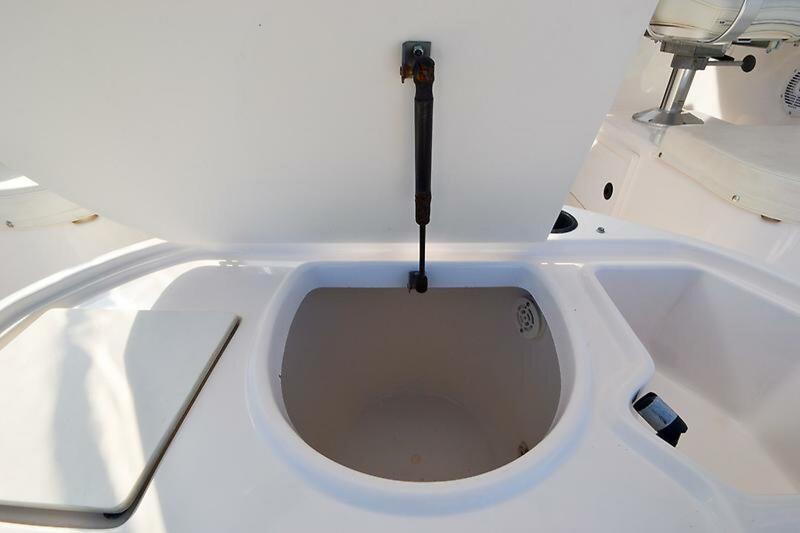 Standard features include an integral bow pulpit, large transom fish box, cockpit bolsters, integrated livewell/bait-prep station with sink and tackle drawers, transom door with gate, fresh and raw-water washdowns, gunnel rod holders, cockpit rod storage, and trim tabs. 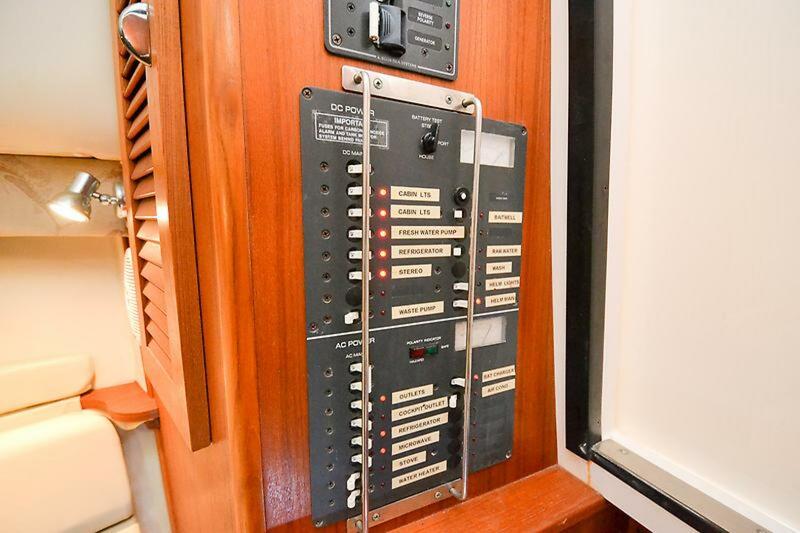 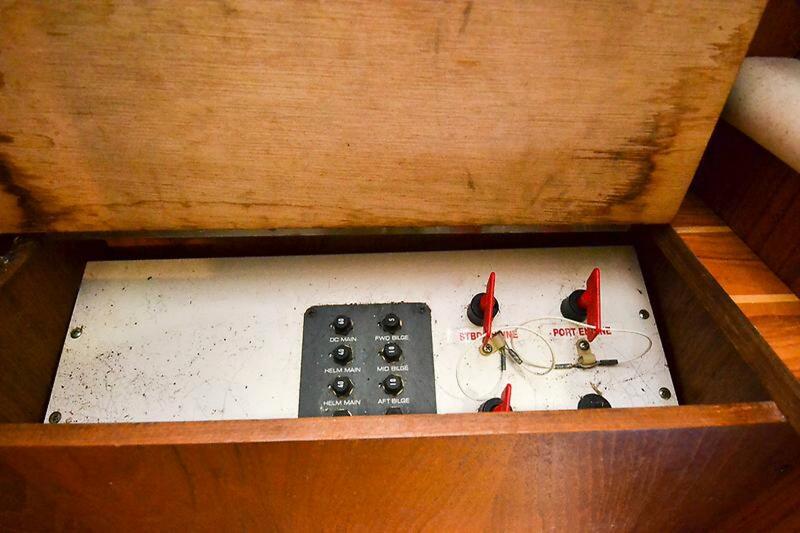 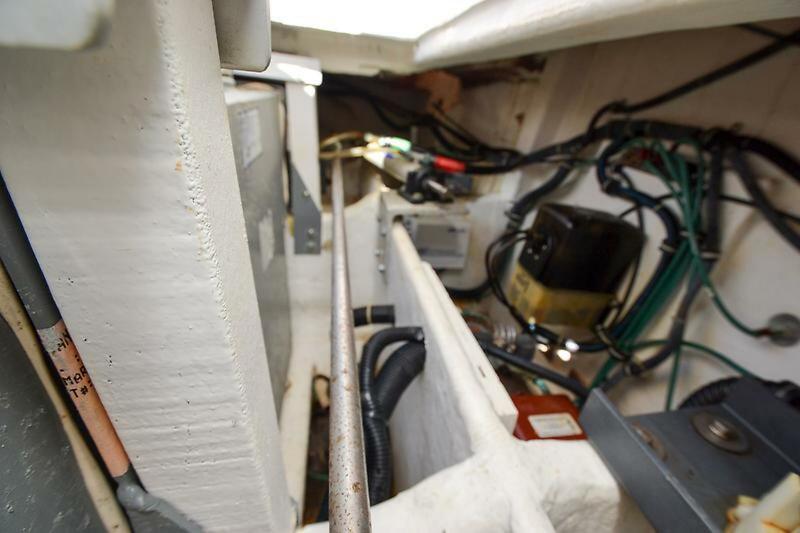 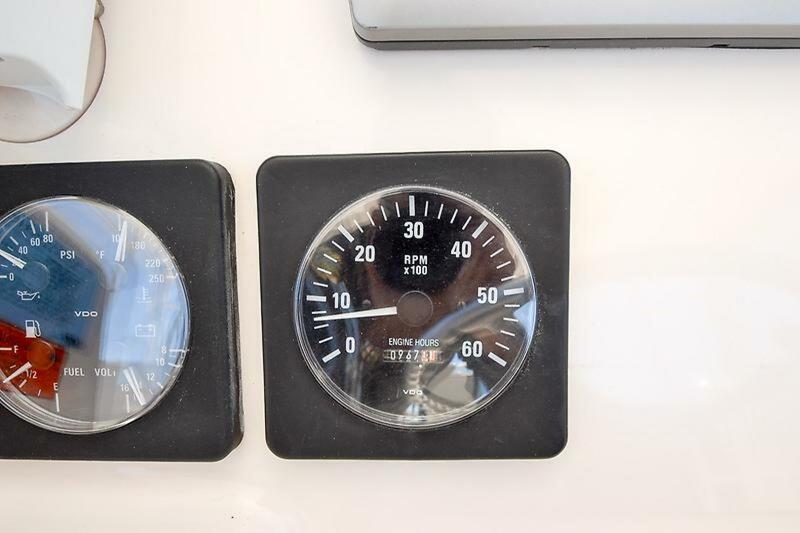 The entire helm deck lifts for engine access. 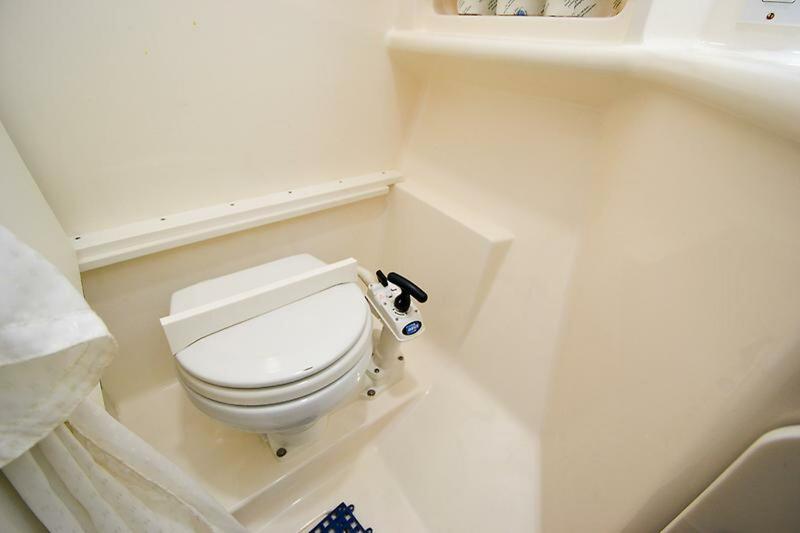 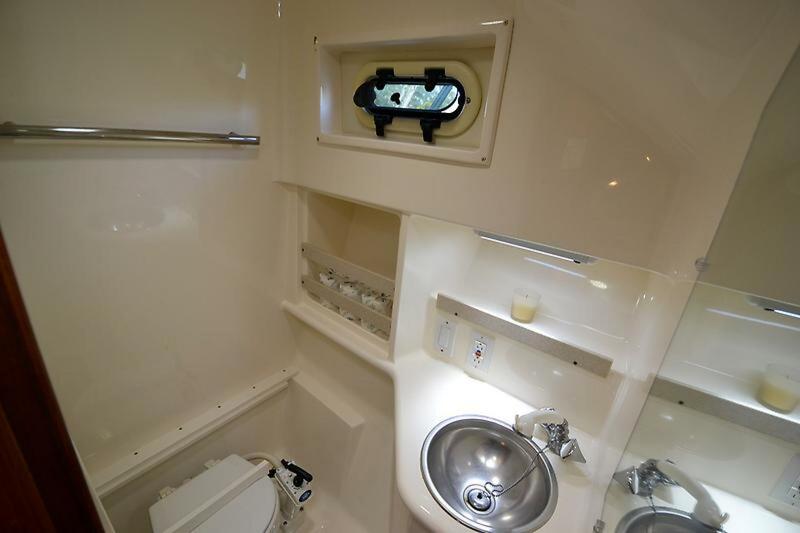 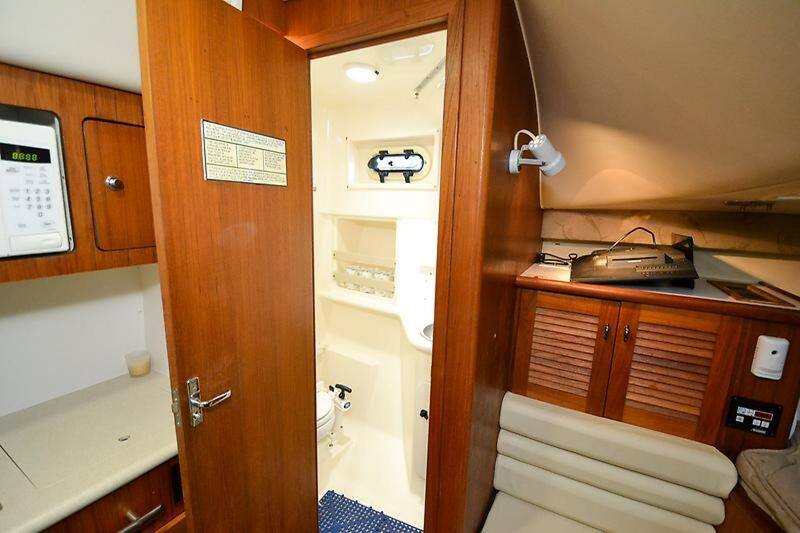 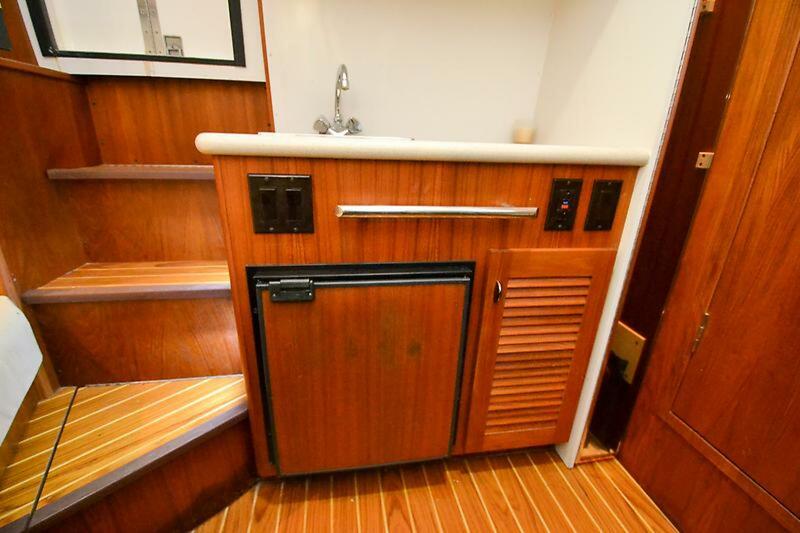 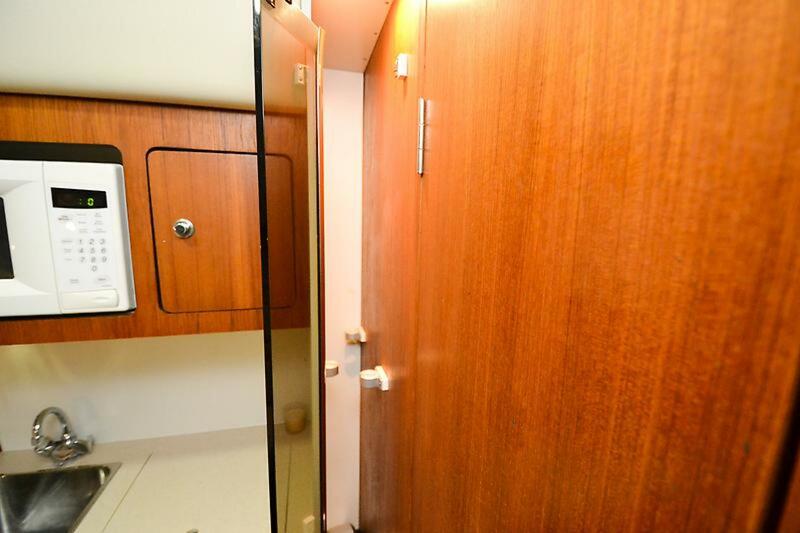 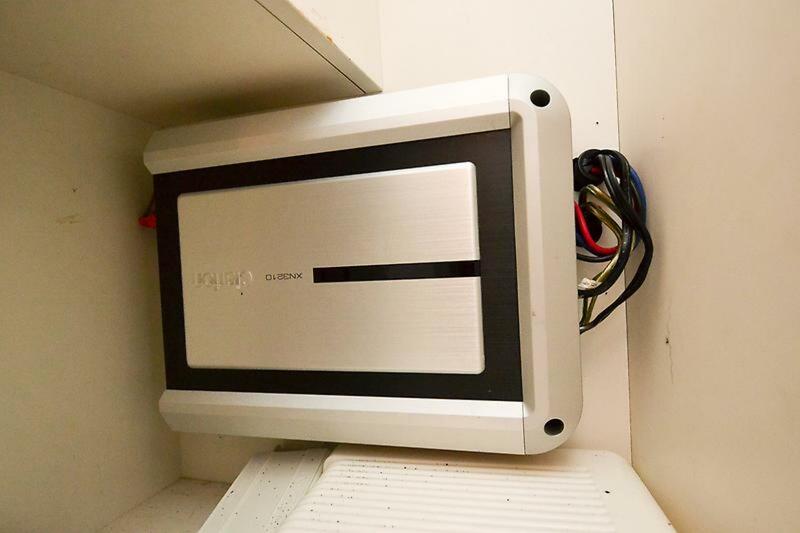 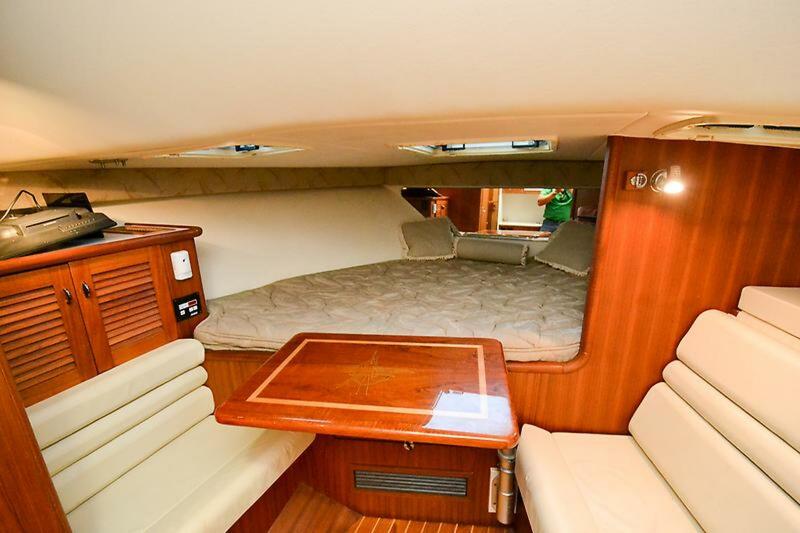 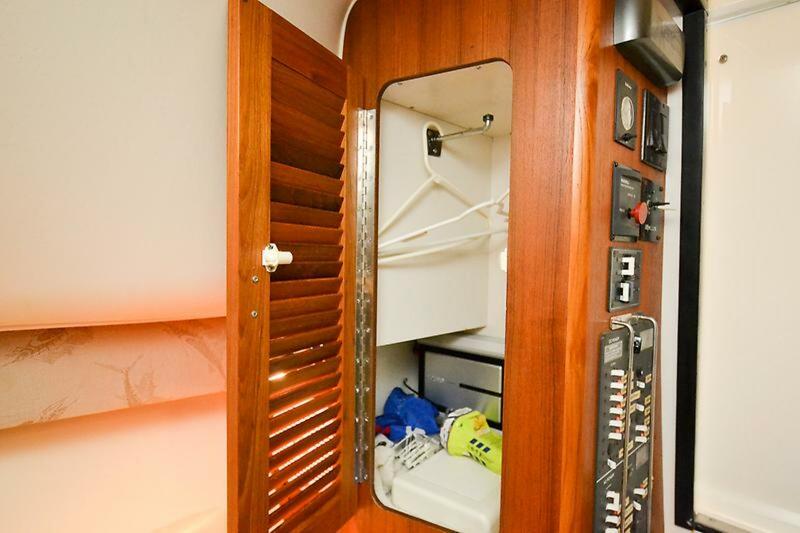 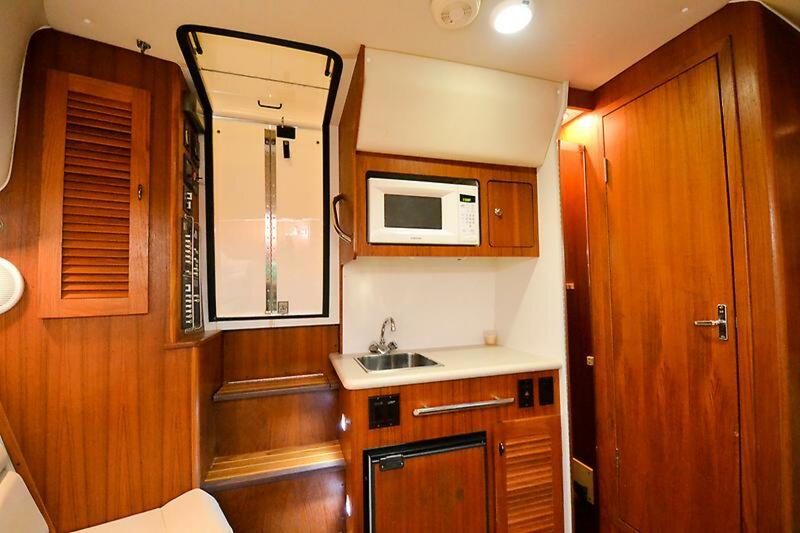 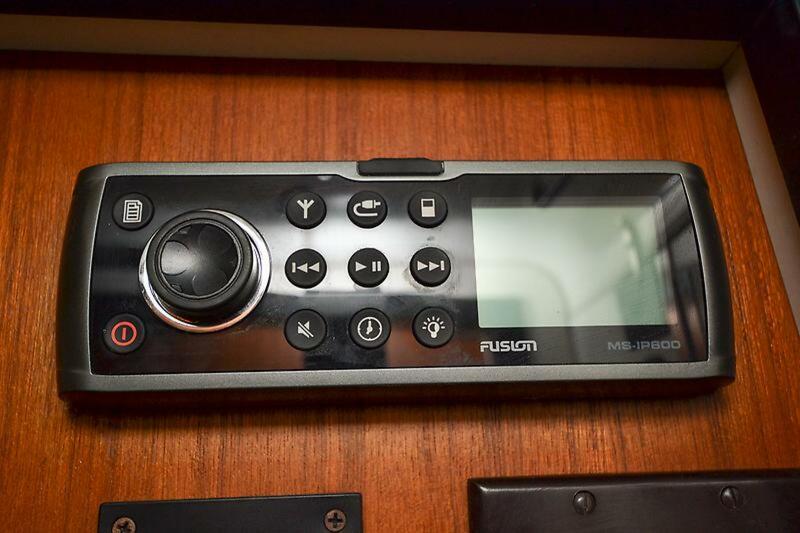 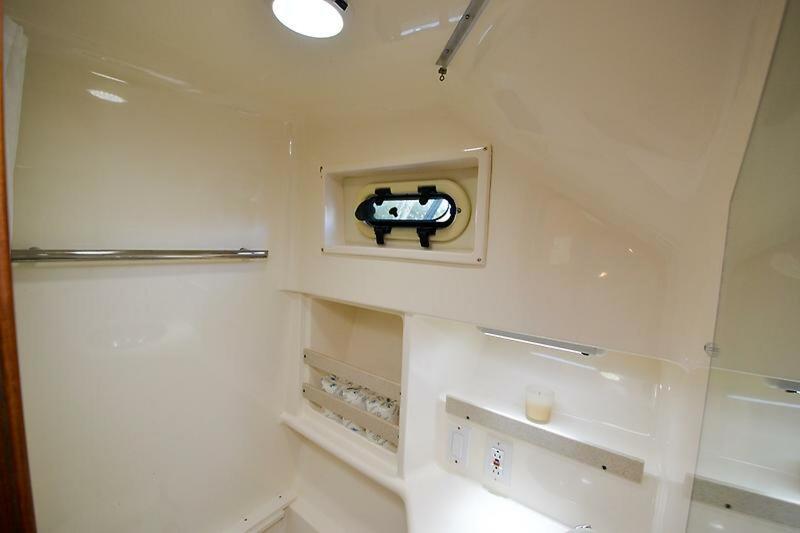 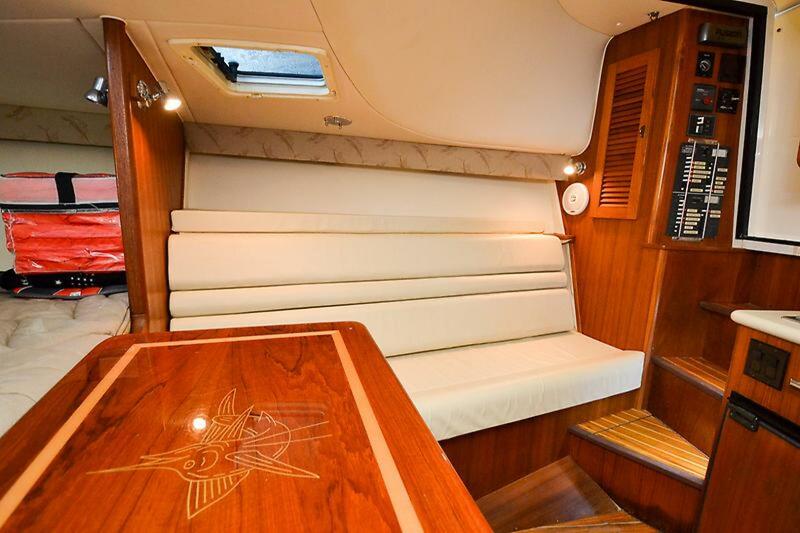 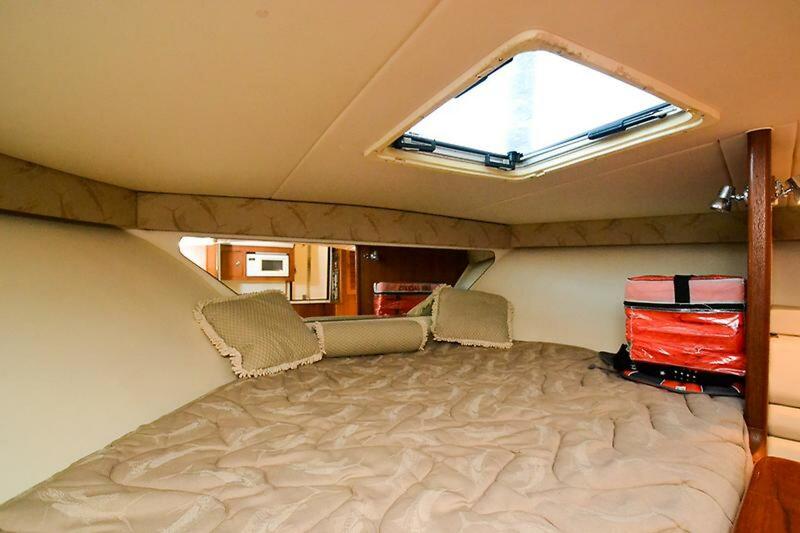 Below, the roomy teak-trimmed cabin of the Pursuit 3000 sleeps four and includes a full-service galley, settee with flip-up backrest, rod storage enclosure, enclosed head/shower, and a double berth forward. 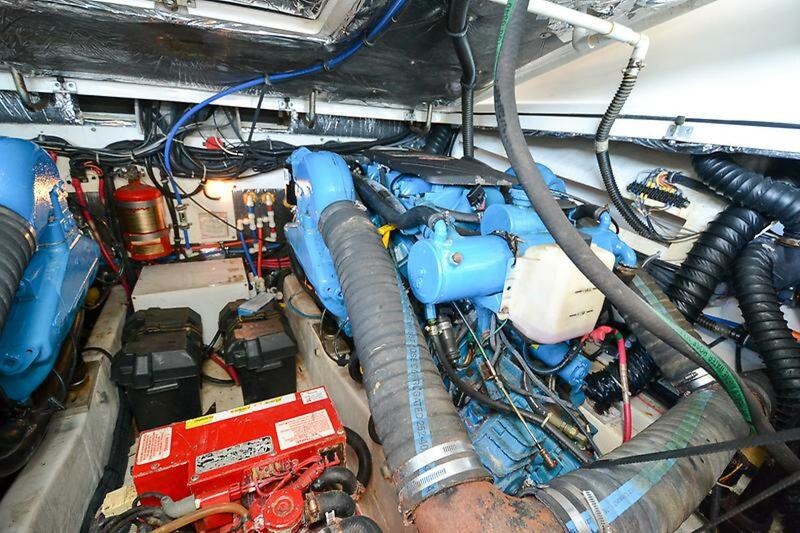 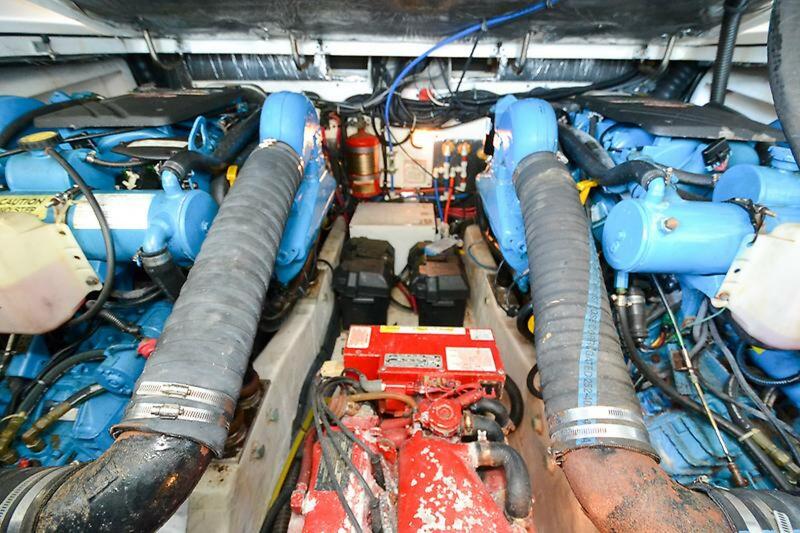 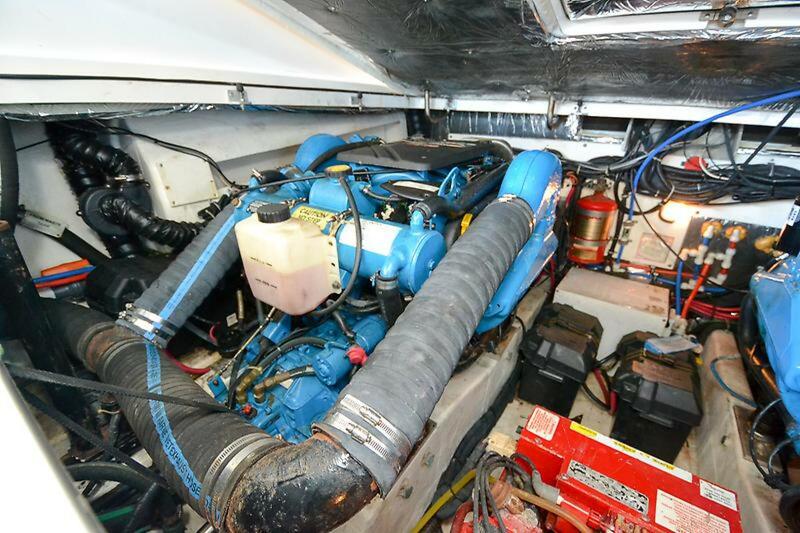 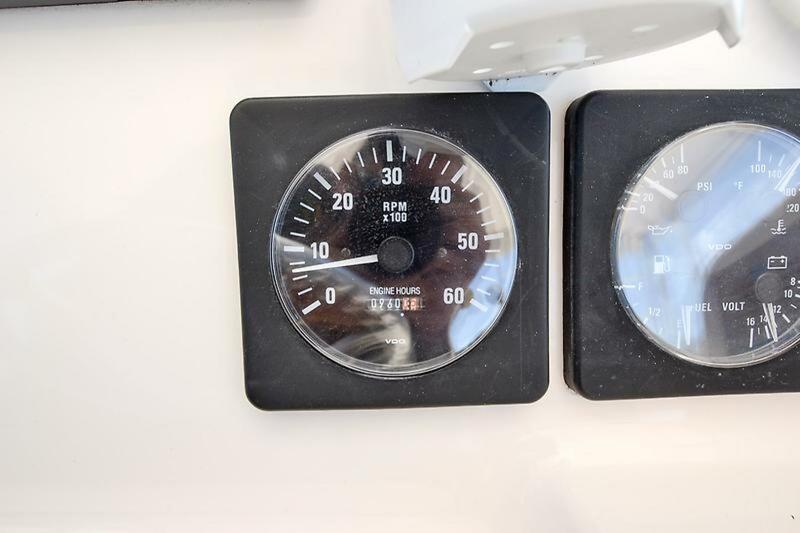 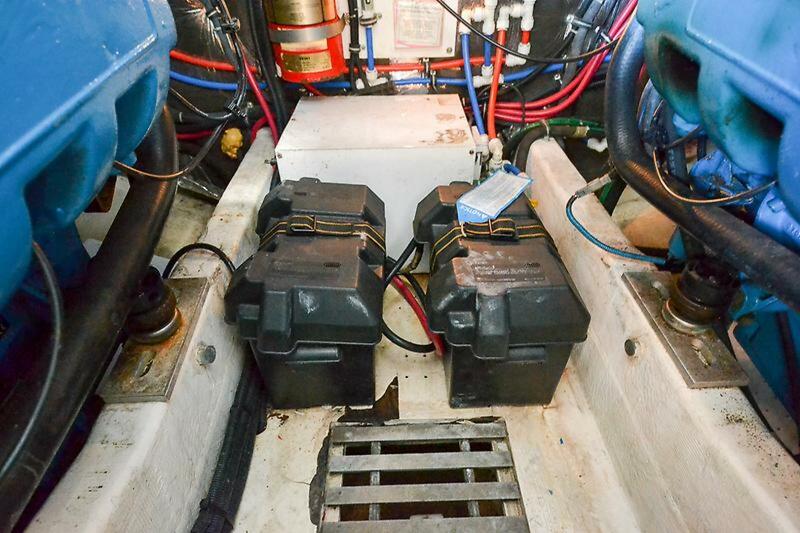 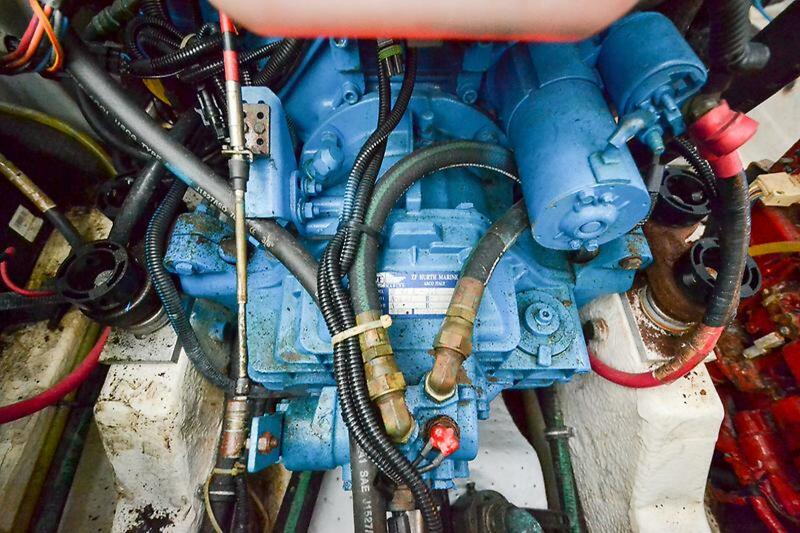 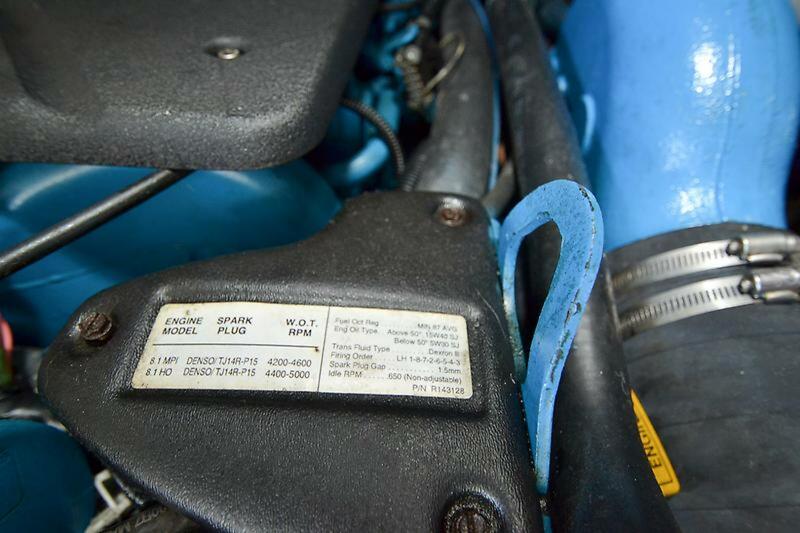 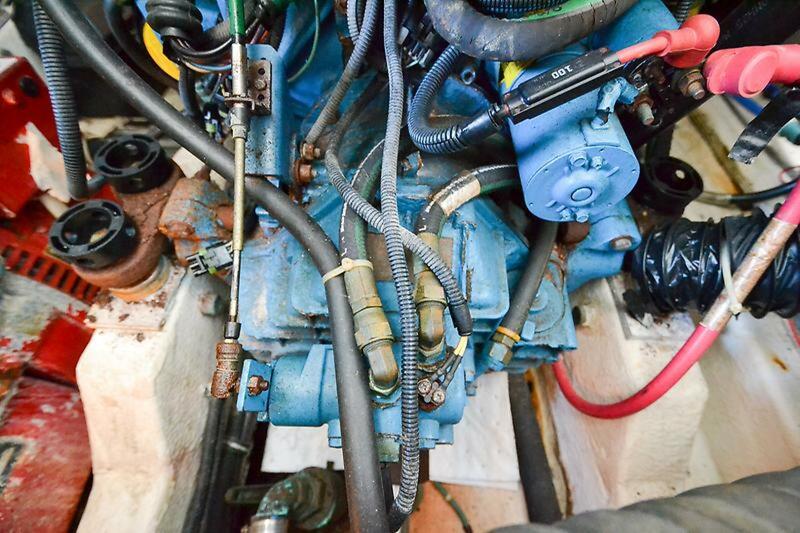 The twin Crusader 8.1L engines will cruise the boat at 24 knots @ 3500 RPM and top out at 32.5 knots at 4500 RPM.